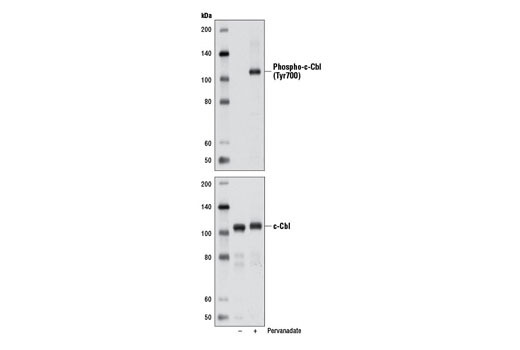 Phospho-c-Cbl (Tyr700) (D16D7) Rabbit mAb recognizes endogenous levels of c-Cbl protein only when phosphorylated at Tyr700. 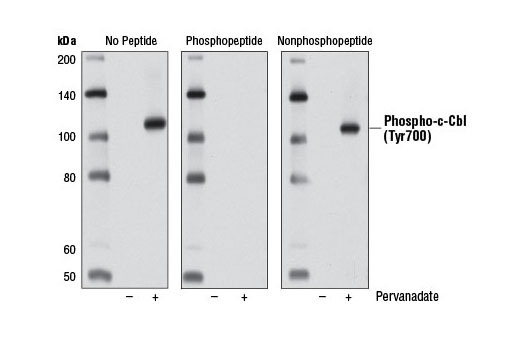 Monoclonal antibody is produced by immunizing animals with a synthetic phosphopeptide corresponding to residues surrounding Tyr700 of human c-Cbl protein. 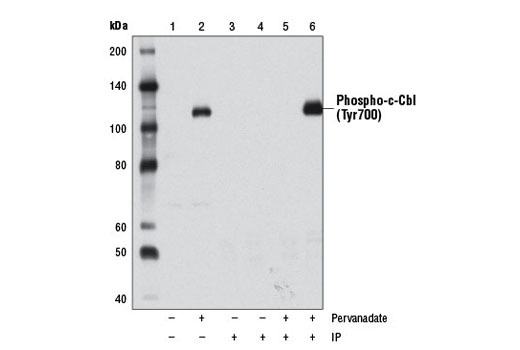 It has been demonstrated that c-Cbl is phosphorylated at Tyr700 by Fyn, Yes, and Syk (4) and that Vav, a hematopoietic-restricted Rac guanine nucleotide exchange factor, undergoes c-Cbl-dependent ubiquitination upon recruitment to phospho-Tyr700 (5). Miura-Shimura, Y. et al. (2003) J Biol Chem 278, 38495-504.